This is an Axle Spindle Nut used to secure your trailers Hub and Bearings onto your Spindle. This is 1" - 14 thread standard spindle nut will work on nearly all trailer axles, but we specifically carry it for our Dexter Galvanized 2,200lb and 3,500lb Axles as a replacement. This size and thread is very standard. 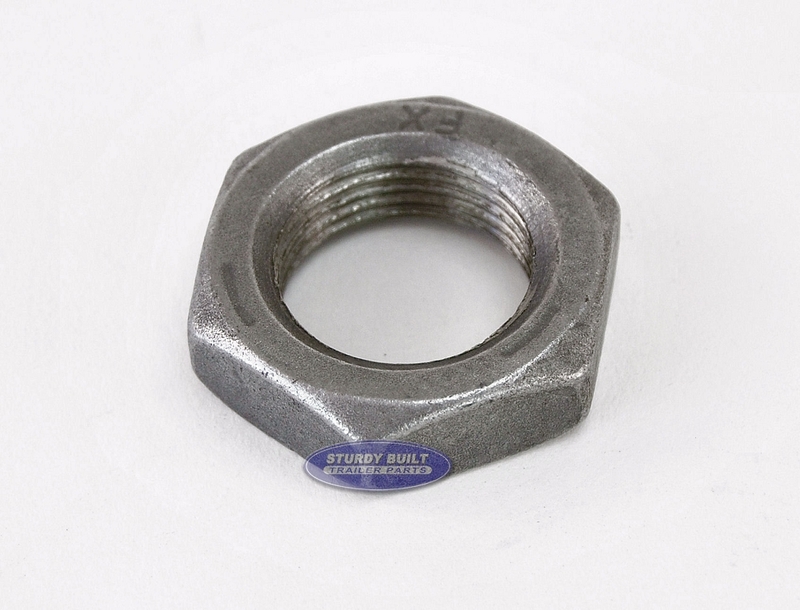 This Spindle Nut style is used with the Spindle Nut Cage to secure your assembly effectively. This nut is the last thing that is installed onto your spindle, and once secured, allows your to install your Dust Cap and finish your project. Each Side of your Axle would have a Round Washer (or D Washer), Spindle Nut, and Nut Cage when using this securing system.